Spain is famous for its vine and “cava” (another name for champagne as long as champagne is only french one). If you stay in Barcelona you can take a short tour to see vineyards of the most promoted Spanish brands. 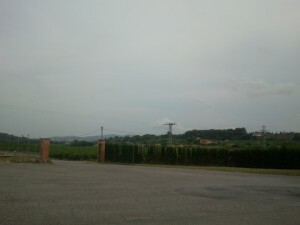 Visiting or staying in Vilafranca del Penedès gives you this opportunity. If you drive by car it is better to stay one night in Vilafranca del Penedès so that you can enjoy vines and delicious food (see below “Staying in Vilafranca del Penedès”). Torres (torres.es) is one of the most known brands, now looks as too touristic. They are trying to game with price for private tours; hard to book tour for the time you want. Recommended: Pares Balta known for their ecological production, positioned as family vineyard and it actually is. It is not a problem to book a tour, they are flexible in schedule. 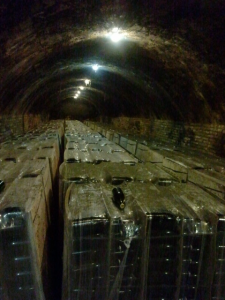 Visiting underground storage of cava is must-have experience, included in the tour. It is another famous product for this region, (in Pares Balta it was really delicious)! Try it and buy it in local vineyards as finding it anywhere else will be a problem. There is one 5-star hotel – Cava & Hotel Mastinel that has all-inclusive (including local wine in minibar). Choose this option if you was to take a wine-pause after touristic week in Barcelona. Hotel DOMO is good 4-start hotel, really friendly personal, big underground garage for your car (or there is a long blue zone just in front of the hotel). Big rooms and nice view. The best for location and budget. You will find a lot of standard restaurants in Penedes, but if you want to try really good food and service, don’t miss Cal ton. Good interior design, great service like in family restaurant, the cuisine is at Michelin-stars level. Be prepared to pay 50 – 80 EUR per person for extremely good dinner with wine and cava. It makes sense reserve table in advance.